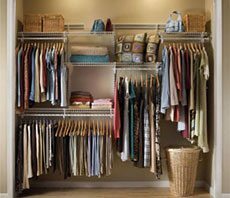 Closets have evolved from a closed space with a single pole to whole “systems” for organizing your stuff. When you’re designing your new log home, it makes sense to pay attention to your closet configurations as well. Maximizing your closet space makes sense not only for your personal use, but also for future buyers. Remember those great nooks under the eaves or the stairwells at your grandmother’s house? Her generation understood the necessity of utilizing every inch of space, when enclosed space was at a premium. When you’re taking a look at your floor plans, make sure you’re not missing out on utilizing some “dead space” areas. Places to consider in a typical home include areas under eaves, stairwells, garage loft areas and attics. If you opt for a truss roof system, talk to your designer about using attic trusses, instead of conventional trusses, which will eliminate useful attic space. Consider the same attic trusses for the garage— overhead storage lofts are super for storing seasonal items. 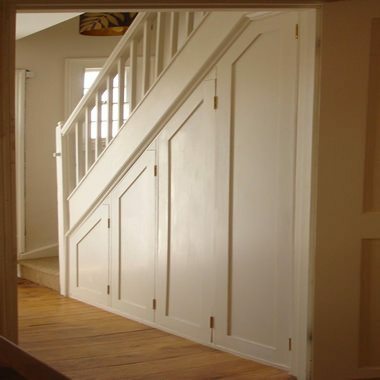 Other areas that provide storage solutions include the backs of doors, stairwells, garage walls and ceilings. When you’re reviewing your closet space, make note of your current habits. Are you a collector or a ruthless sorter who pares down to the bare necessities on a regular basis? 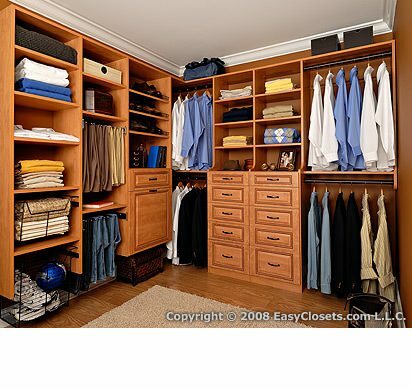 Whatever your style, closets can provide you with an organized area to store and preserve your personal belongings. 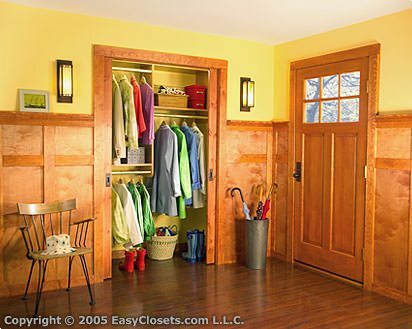 Coat closets are those that are shallow and just the width of the access door. These are typically set up with a shelf or two and a coat rack. Providing shelving or containers on the floor can help to organize boots, shoes and other items. Linen closets are placed near bed and bathrooms to hold the sheets, towels and other supplies. They typically have a series of shelves and can be wide and deep. Clothes closets are found in bedroom areas. Reach-in closets are typically shallow in depth, with all the shelving and other features oriented to the front face of the closet. Walk-in closets are as described, a small room designed for storing clothing and other personal items. Walk in closets have more space, and more opportunity for custom configuration, including shoe storage, shelving, racks, drawers and bins. Other storage areas might include kitchen pantries and garage storage units. Many of the components for closets are available in standard sizes at large box stores or other retailers. For closets of larger dimensions, or for specialized applications, there are numerous manufacturers that offer custom-design choices, configurations and wood finishes. Easyclosets.com offers customers online design capabilities, where the dimensions are entered and different components can be moved and dropped into the design to customize your storage areas. They also offer installation and support should you decide to do it yourself. Another company, ClosetMaid has a helpful feature in addition to their online design: a section called “The Moving Experience.” This section provides tips for assessing and organizing belongings before you move and/or build a new home. With so many options you’ll be sure to find the storage solutions that will be just right for your new log home!